As we age, there will come a time that you'll notice dark circles under your eyes or it may even look like you have sunken eyes. Do you feel like you look old and tired because of your eyes? Hey, it's normal to feel something like that — I see and notice it too on mine. Pero syempre, you should not just sit there and do nothing diba. You may have seen that I have posted numerous times about ageing on my social media. 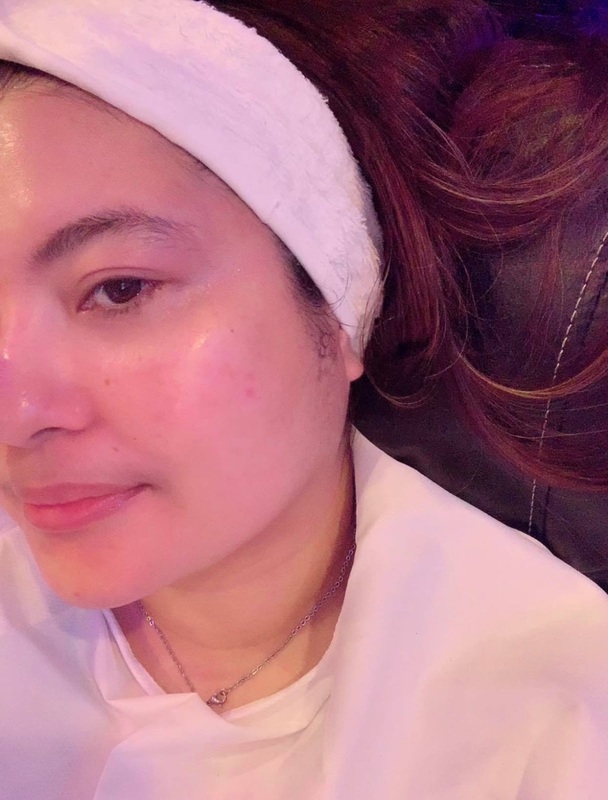 You may have also seen my recent post about a device that could combat puffiness— but in case you haven't yet— I shared there how I was able to try the newest from Nu Skin — the #LumiSpaAccent 💦 It was an amazing firsthand experience with this latest breakthrough of Nu Skin! Nu Skin’s ageLOC LumiSpa Accent is a device when used together with Ideal Eyes Activating Eye Cream minimise the appearance of eye bags, puffiness and dark circles with instant hydration and radiance. It gave me fresher and brighter eyes in 1 minute! Can be used daily! Super Amazeballs!!! Can't get over how amazing Nu Skin ageLOC LumiSpa’s exclusive skin movement technology is! It now works as a targeted treatment for the eye area. Let me give you in-depth information about this newest innovation of NU Skin. Check out and watch a short video which I documented during my experience about the product. Nu Skin’s ageLOC LumiSpa Accent paired with ageLOC LumiSpa IdealEyes is a rejuvenation treatment that gently massages away the signs of stress and a busy lifestyle while reducing the appearance of puffiness, under-eye bags, and dark circles. Targeted Focus Paired with ageLOC LumiSpa IdealEyes, the multitasking ageLOC LumiSpa Accent uses an oscillating motion to gently exfoliate the skin around the eyes while delivering key ingredients to promote brighter, fresher eyes. Together, the system delivers several benefits. 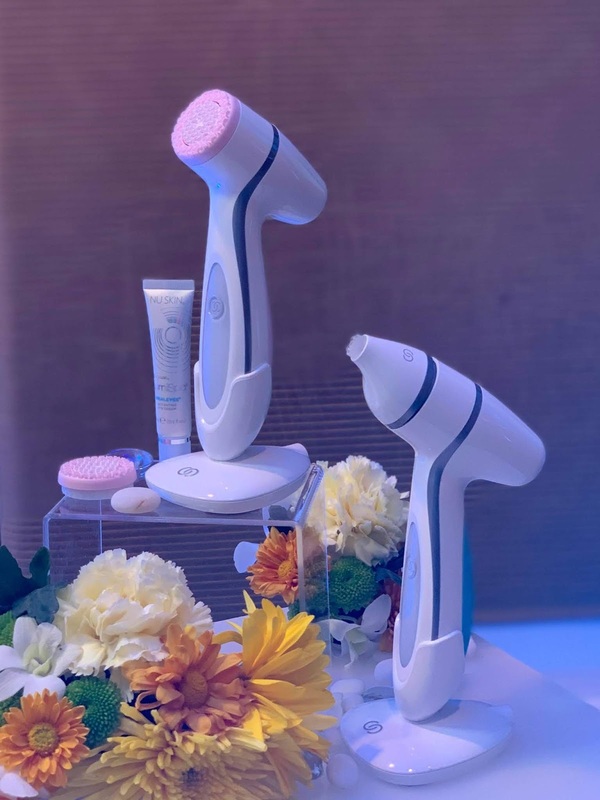 ageLOC LumiSpa Accent and ageLOC LumiSpa IdealEyes were inspired by the multi-functionality and the patented Micropulse Oscillation technology of ageLOC LumiSpa paired with the treatment cleansers. The ageLOC LumiSpa Accent tip, made from the gentlest silicone available, has a unique topography with offset peaks and troughs and oscillates back and forth to precisely move skin without overstimulating it. Like ageLOC LumiSpa treatment heads, the ageLOC LumiSpa Accent tip is also designed to gently exfoliate skin and is embedded with anti-microbial silver, which is more hygienic than other topical devices used on skin. 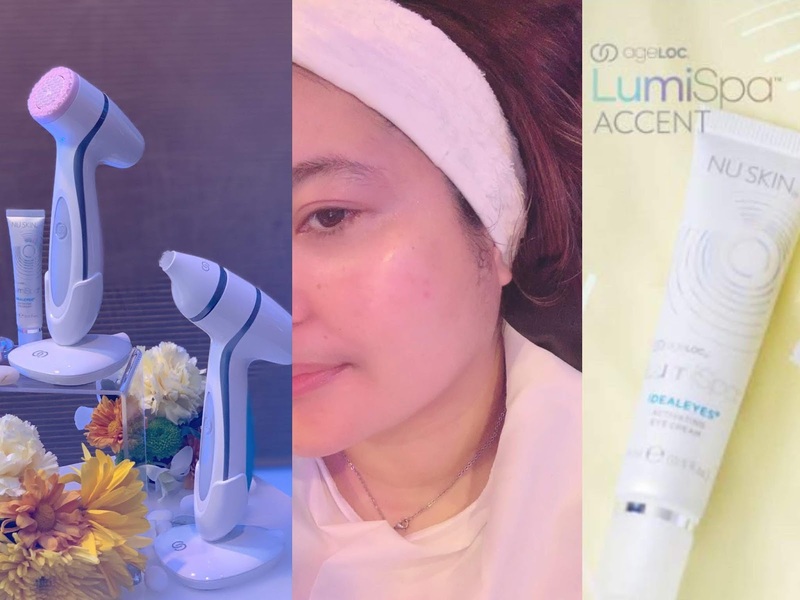 Nu Skin conducted several preliminary studies that revealed that individuals who used the ageLOC LumiSpa Accent product pairing experienced improvements in the reduced appearance of puffiness, eye bags, fine lines and wrinkles. 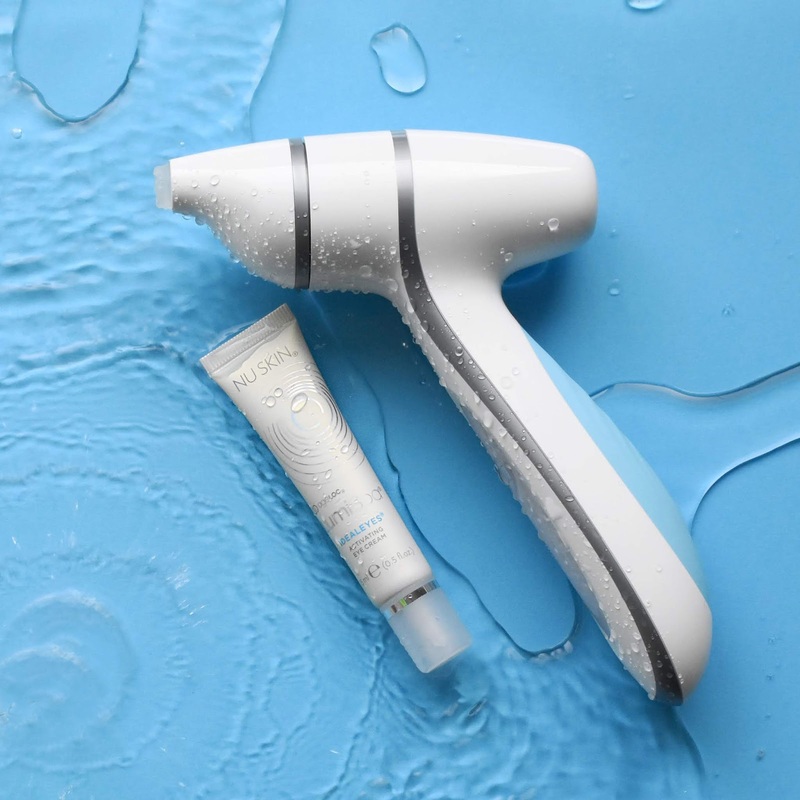 ageLOC LumiSpa Accent is a waterproof attachment head specifically designed to fit on the ageLOC LumiSpa handheld device. ageLOC LumiSpa treatment heads move at the precise frequency, validated by clinical studies, to promote skin renewal for a healthy and refreshed appearance. ageLOC LumiSpa Accent features one treatment head made of the softest silicone available and is embedded with anti-microbial silver. The ageLOC LumiSpa Accent optimizes the effectiveness of this potent eye cream by enabling gentle interaction with the skin. ageLOC LumiSpa IdealEyes contains Nu Skin’s proprietary ageLOC ingredient blend that is designed to maintain healthy, bright, youthful looking skin. -A peptide complex to help visibly firm and tone skin. -Tetrahexyldecyl Ascorbate (a form of vitamin C) to help protect against free radical damage and brighten the eye area. -Plankton extract to help decrease the appearance of pigmentation in the undereye area and tone the eye area. -Squalene to help prevent moisture loss and restore skin’s flexibility. The ageLOC® LumiSpa Accent kit SRP is PHP 20,000. -ageLOC LumiSpa IdealEyes and a quick start guide.